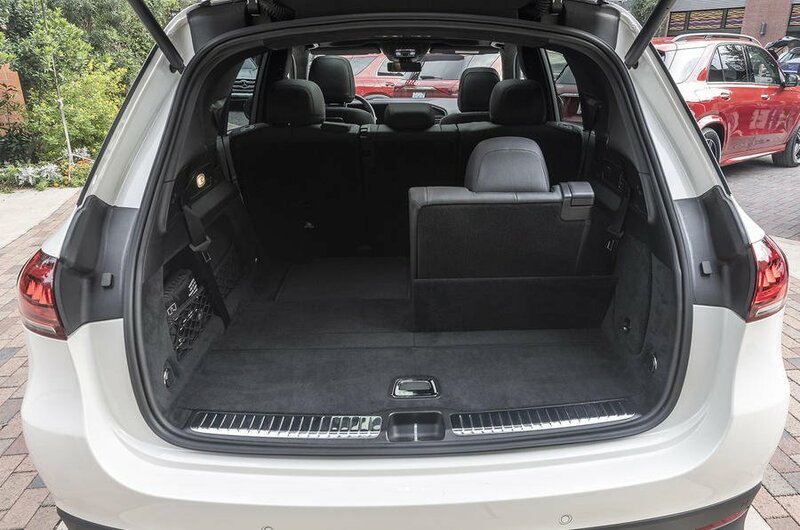 Mercedes-Benz GLE Boot Space, Size, Seats | What Car? 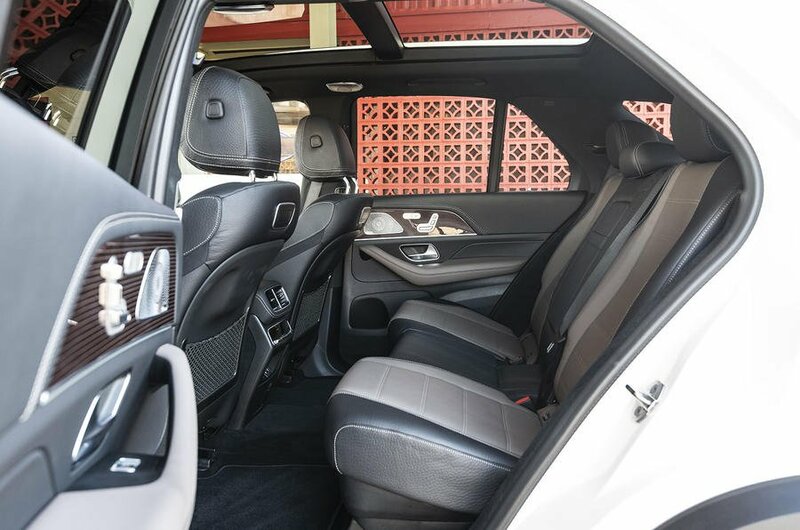 No one will feel cramped in the front of the GLE; it’s nice and wide, so there’s no chance you’ll be brushing shoulders with a passenger, and even the panoramic glass roof leaves a lot of head room for tall drivers. In addition, there are lots of useful cubbyholes in the centre console and good-sized storage bins for odds and ends. 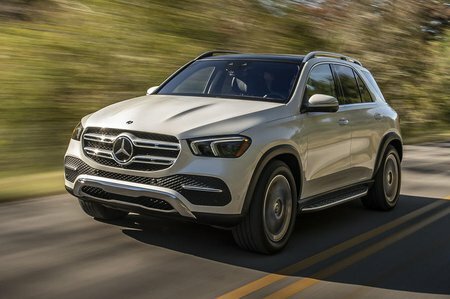 Seven seats are standard in the GLE unless you go for the 300d, which requires a tick on the options list and a hefty amount of cash to upgrade from five. In the second row, even tall adults can properly stretch out and relax, with plenty of head and leg room. Plus, there's enough space to fit your feet under the front seats. Unfortunately, space isn’t quite so generous in the third row, to say the least. You have to move the middle row forwards a fair way to be able to squeeze your knees in, and head room is very limited. Still, it’s good to have the flexibility of a seven-seat option – even if it is a last resort. Just remember that if full seven-seat comfort is a priority, the Audi Q7 and Volvo XC90 are both better choices. Split-folding second-row seats (in a flexible 40/20/40 configuration) are standard, regardless of whether you choose a five or seven-seat version. And while they don’t lie completely flat, at least they don’t leave an awkward step in the floor, so you can still easily slide stuff along it. Another handy feature on all seven-seat models is electric adjustment for the middle row. The rear bench can slide forwards or backwards and the backrest angle can be adjusted – a nice luxury for passengers. With the rearmost seats down, the GLE has a very generous-sized boot that's bigger than the BMW X5’s. What's more, it's a good, usable shape, with little wheel arch encroachment, so you’ll easily lump in several suitcases, prams or golf clubs. In fact, even with the third-row seats in place, you can still squeeze a useful amount of luggage in there. When the plug-in hybrid variant arrives, that is likely to have a smaller boot to accommodate the underfloor battery pack (as is common with hybrid models), but how much smaller is yet to be announced.